Pest monitoring We do not have a specific threshold for symphylan in broccoli, Brussels sprout, cabbage, or cauliflower for Oregon conditions. In general, field evaluation for symphylans involves grid sampling at one acre intervals, digging 6 x 6 x 12 inch holes (0.25 cubic foot), spreading and carefully examining the soil from the hole, and using an action threshold of 0.5 to 1 symphylans per sample. Flooding for 2 to 3 weeks has controlled symphylans in some situations but has been unsuccessful in others. Even in the best circumstances, flooding only reduces populations, and they can increase when conditions are again favorable. 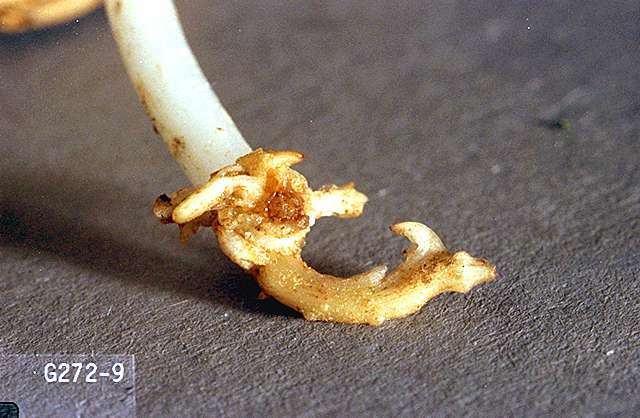 Effectiveness of rotations with non-host crops has not been established in Oregon. 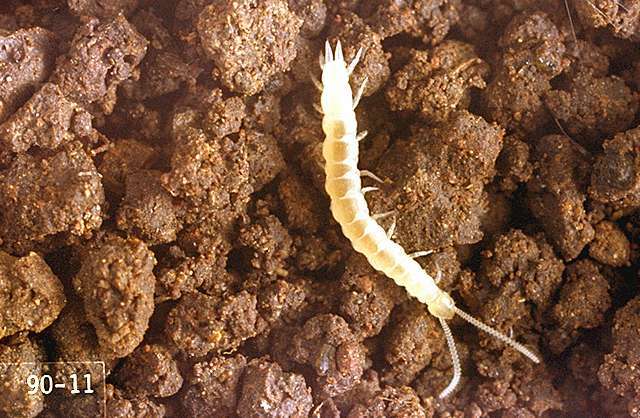 Infested soil can be treated with insecticides, but the effect is limited because of the symphylan's ability to migrate deep into the soil. Insecticides may help give the plants a chance to establish in a protected zone. chlorpyrifos (Lorsban Advanced 2ee) at 2.25 lb ai/a (broccoli, cabbage, Brussels sprout), 1.87 lb ai/a (cauliflower). PHI 30 days for soil applied. REI 24 hr, 3 days for cauliflower. Incorporate into 2 to 4 inches of soil. OR and WA only. ethoprop (Mocap 15G) consult label. Cabbage only.